The Catalan government will receive the first report from the National Transition Advisory Council at the end of July with recommendations on how and when to hold the referendum on independence, and what question or questions should be formulated. This was the announcement made today by the president of the group, Carles Viver Pi-Sunyer, as he explained the task that the council will carry out over the next few months: they will write 19 reports, most of which outline the steps that need to be taken to move toward an independent Catalan State. The first report will deal with how and when to convoke the referendum. Pi-Sunyer left open the possibility that there might be more than one question, that is, there might be two or even three, "in the form of a tree". "We will also the guarantees that the referendum should afford and the possible results and consequences that it will have. And what the reaction from the state may be," he explained. And in addition to the judicial analysis for holding a referendum, he also made it clear that they will examine "alternate, more political routes in order to be able to hold such a referendum". The other 18 reports will be written, mostly by the end of the year, between October and December, while the remaining ones will be finished in the first trimester of 2014. They will be reports that analyze the fundamental decisions that will have to be taken assuming that the referendum will lead to the constitution of a new state. "We will help analyze the structures necessary in the event of a favorable result on the question of creating an independent state," said Pi-Sunyer, who did not close the door to the Council analyzing federal or confederal systems. 2. The relationship of the new state with the EU. Will it be a member or not? If it si not, how will it be able to become one? What will happen with the Schengen Area and European Economic Space? 3. The relationship with the international community, from the United Nations to UNESCO, as well as all the other international organizations, including an analysis of what will happen with the treaties that Spain is a signer of. 4. The future relationship with the Spanish state. "The new state should have a very close relationship with the Spanish state," said Pi-Sunyer. 5. The succession of judicial regulations. "On Day 1 in the new state, we don't want to find ourselves with holes in the judicial system," observed Pi-Sunyer. 6. How to carry out the constituent process. A constitution will be necessary. "Perhaps one idea is that there would be a provisional constitution, and not try to create a Catalan Constitution from the start, the first week," says the Council president, who thinks such a document would have to cover fundamental rights, with references to the Statute of 2005, and that important decisions would have to be incorporated therein, like the question of dual nationality, or the status of the different languages. 7. Catalonia's judicial system. Pi-Sunyer says, "How many judges will we have, and how many secretaries of justice? We must ensure that we can administer justice right away. What will we do with the cases that are in process in the Spanish judicial system? What will we do with decisions from those courts? We will need a governmental body with judicial power." 8. Report on internal and international security. 9. Sectorial administration, for example electoral administration. 10. Economic topics, like the tributary agency in the new state, tax collection, etc. 12. The financial institutions, like the Central Bank, and the maintenance of the euro. 13. The agencies and regulatory organizations that we should have, some of which are required by the EU. 14. The distribution of assets and debts between the Catalan and Spanish Governments, including the public debt. 15. 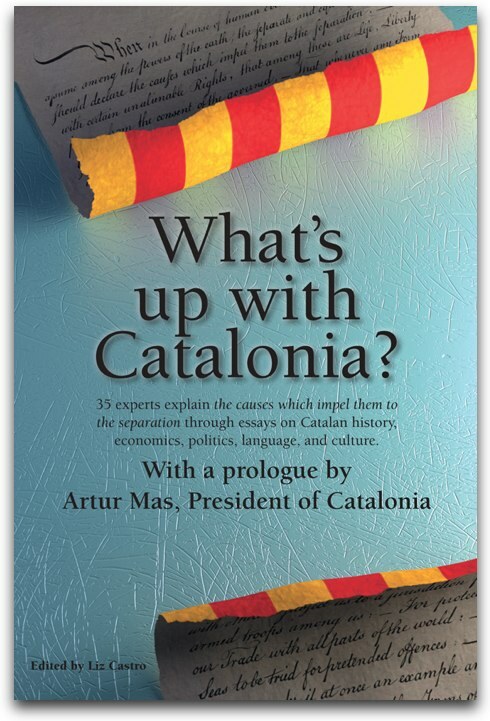 The effects of an independent state on the business relationship between Spain and Catalonia. 16. How the Catalan Social Security system will work. 17. How to ensure access to energy and hydraulic resources starting on Day 1 after independence. 18. How telecommunications resources will be defined and distributed. 19. The internationalization of the process.